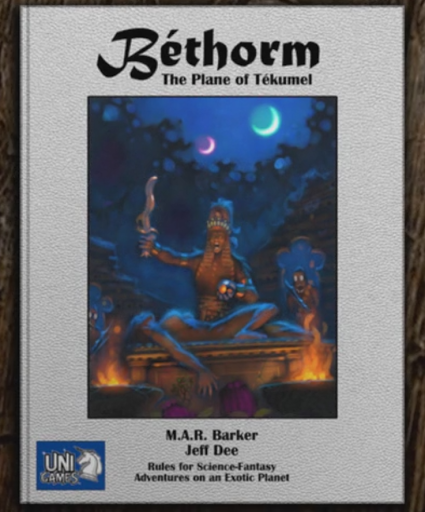 Some of you already know I've been looking into using Blurb.com to publish "A Band of Joyous Heroes", "Kerdu" and a background book (or books) for Tékumel. Blurb offers full colour publishing in soft-cover, hard cover with a dust jacket and hard cover with image wrapped cover. I can't speak to whether they are the cheapest but I found them to be very user friendly. For the record, I also looked into Lulu but when I had questions I didn't get answers but requests to "upgrade" my account. So I went with the guys who gave me answers: Blurb. I wanted to find out how Blurb's quality was so as a test I used a feature that might interest those of you with blogs of your own. 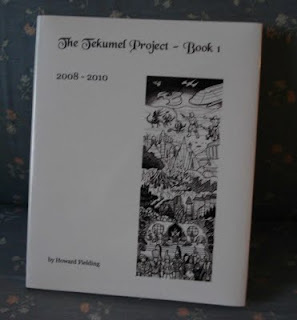 I decided to make a "yearbook" for The Tékumel Project. Blurb allows you to "slurp" your blog into one of their layouts automatically. The links are turned into footnotes and the pictures show up as margin thumbnails. The latter you can move around and manipulate afterwards as you like or you can keep them as thumbnails. There is probably going to need to be some adjustment to make sure the picture is aligned properly even so as the process tries to "fit" the photo as best it can and automatic processes only work so well. As my first two years as a blogger were pretty pathetic, the book covers everything up until the end of December 2010. 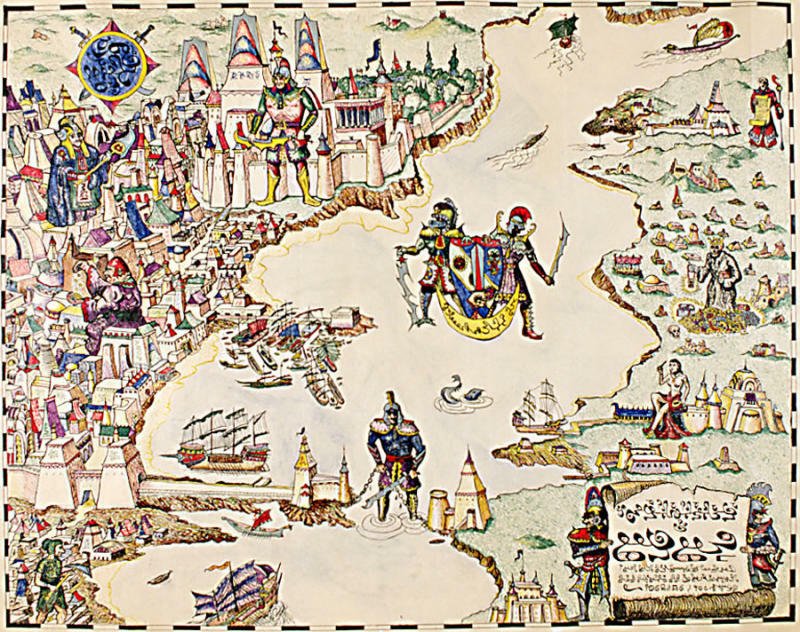 I reformatted some of the pictures, making them a good size on the page and fixed some of the thumbnails, but I was eager to see the results so I didn't spend as much time doing that as perhaps I could or should have. To me, the content is mediocre but the final physical product was worth the test. Note that the picture on the cover is blurry b/c of my crappy photography skills, not in actual fact!